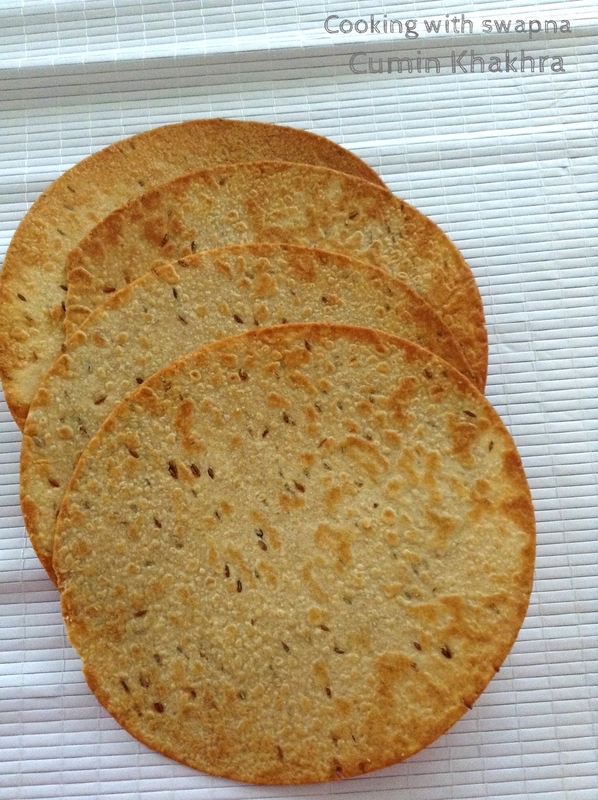 Cooking With Swapna: Cumin Khakhra - Very crispy !!! 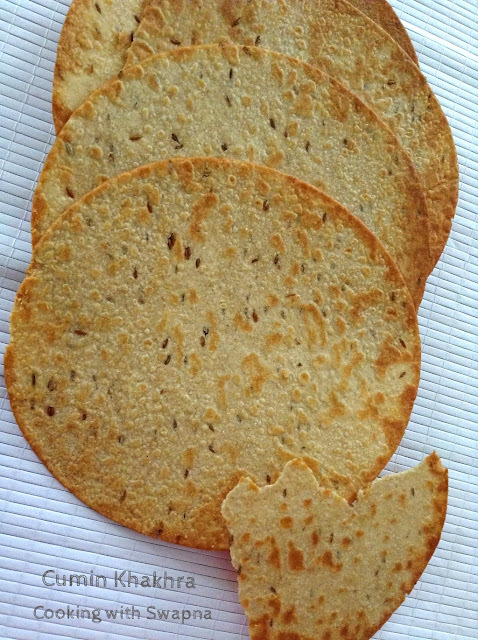 Khakhra is most popular Gujarati snack served in different variations. Make these whole wheat cumin khakhras and eat them fresh or store them for later. 1. Mix together wheat flour, salt, pepper powder, cumin seeds and cumin powder. Knead the dough using water and set aside for half an hour. 2. 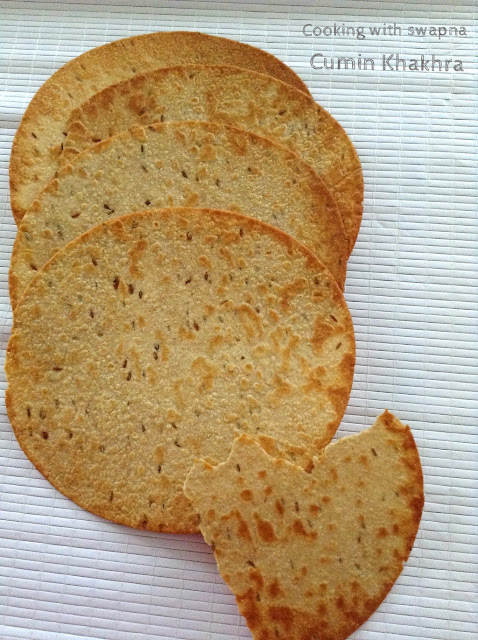 Make small ball of dough to make rotis. Roll out the rotis as thin as possible. 3. Cook the rotis over medium slow flame. 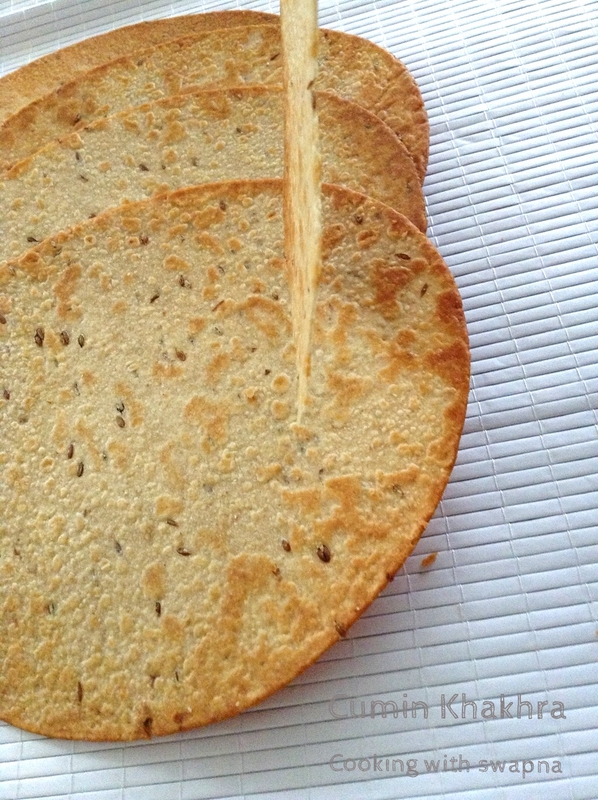 Keep pressing the rotis with some cloth while cooking on either side. 4. Roast until they become crispy and brown in colour. Brush some ghee on each khakhra and cool it.